Nations such as Russia, South Africa and the U.S. have long conducted research into how to make deadly germs even more deadly. And accidents at these research facilities have caused germs to escape, killing people and animals near the facilities. For example, the Soviet research facility at Sverdlovsk conducted anthrax research during the Cold War. They isolated the most potent strain of anthrax culture and then dried it to produce a fine powder for use as an aerosol. In 1979, an accident at the facility released anthrax, killing 100. In two other incidents, animals were inadvertently infected with contagious diseases that would have posed significant threats to livestock industries if they had spread. One case involved the infection of two animals with hog cholera, a dangerous virus eradicated from the USA in 1978. In another incident, a cow in a disease-free herd next to a research facility studying the bacteria that cause brucellosis, became infected …. The issue of lab safety and security has come under increased scrutiny by Congress in recent weeks after a series of high-profile lab blunders at prestigious government labsinvolving anthrax, bird flu and smallpox virus. The new lab incident data indicate mishaps occur regularly at the more than 1,000 labs operated by 324 government, university and private organizations across the country …. “More than 200 incidents of loss or release of bioweapons agents from U.S. laboratories are reported each year. This works out to more than four per week,” said Richard Ebright, a biosafety expert at Rutgers university in New Jersey, who testified before Congress last month at a hearing about CDC’s lab mistakes. The only thing unusual about the CDC’s recent anthrax and bird flu lab incidents, Ebright said, is that the public found out about them. “The 2014 CDC anthrax event became known to the public only because the number of persons requiring medical evaluation was too high to conceal,” he said. Such secrecy is a barrier to improving lab safety …. The article noted that the number of reports received by CDC likely underestimates the true number of suspected losses and releases. In 2002, the discovery of lethal anthrax outside a high-security laboratory at the military’s premier biodefense laboratory, the Army Medical Research Institute of Infectious Diseases at Fort Detrick in Maryland, led to sampling throughout the institute. The Senate report noted that accidents have occurred in the handling of potentially deadly biological material. Vials of biological warfare agents have been misplaced or spilled, it said, employees have been exposed to deadly toxins and a fire once broke out in the high-containment laboratory of the Army’s leading germ warfare facility at Ft. Detrick, Md. Ludwig said researchers at the facility will likely start out working on vaccines for filoviruses such as Ebola and Marburg, as well as new anthrax vaccines. The facility will have the capability to produce viruses in aerosolized form that would simulate a potential biological attack on the test animals. Ludwig said aerosol is the means of exposure researchers are most concerned with given its implications to battlefield and homeland defense. In an article published last month, [Marc Lipsitch, professor of epidemiology at Harvard School of Public Health] argued that experiments like Kawaoka’s could unleash acatastrophic pandemic if a virus escaped or was intentionally released from a high-security laboratory. Many of the groups that create dangerous viruses to understand their workings are funded by the US National Institutes of Health (NIH). Lord May [the former president of the Royal Society and one time chief science adviser to the UK government] said he suspected the NIH supported the work because officials there were “incompetent” and believed the justifications that scientists told them. “This is work that shouldn’t be done. It’s as simple as that,” he said. The study identifies particular mutations that made the virus spread so easily. But that is not much use for surveillance, said Lipsitch, because there are scores of other mutations that could have the same effect. Prompted by controversy over dangerous research and recent laboratory accidents, the White House announced Friday that it would temporarily halt all new funding for experiments that seek to study certain infectious agents by making them more dangerous. It also encouraged scientists involved in such research on the influenza, SARS and MERS viruses to voluntarily pause their work while its risks were reassessed. The announcement, which was made by the White House Office of Science and Technology Policy and the Department of Health and Human Services, did not say how long the moratorium would last. It said a “deliberative process to assess the potential risks and benefits” would begin this month and stretch at least into next year. The move appeared to be a sudden change of heart by the Obama administration, which last month issued regulations calling for more stringent federal oversight of such research and requiring scientists and universities to disclose that their work might be risky, rather than expecting federal agencies to notice. The moratorium is only on research on influenza virus and the coronaviruses that cause SARS and MERS. The debate over the wisdom of “gain of function” research erupted in 2011 when the labs of Ron Fouchier of Erasmus University in the Netherlands, and Yoshihiro Kawaoka of the University of Wisconsin-Madison, separately announced that they had succeeded in making the lethal H5N1 avian flu easily transmissible between ferrets, which are a model for human susceptibility to flu. The debate heated up further this year when the Centers for Disease Control and Prevention admitted it had suffered laboratory accidents that exposed dozens of workers to anthrax and shipped deadly avian flu virus to another federal lab that had asked for a more benign flu strain. Many scientists were furious that such work had been permitted and even supported with American tax dollars. But others argued that it was necessary to learn which genetic mutations make viruses more dangerous. If those mutations began appearing naturally as the viruses circulated in animals and people, warnings could be issued and vaccines designed, they said. Richard H. Ebright, a molecular biologist and bioweapons expert at Rutgers University, argued that the long history of accidental releases of infectious agents from research labs made such work extremely risky and unwise to perform in the first place. The Army conducts or contracts for germ warfare work at 120 sites worldwide …. The Obama administration has requested $260 million in fiscal 2012 funding to bolster protective measures at African research sites that house lethal disease agents, the Examiner reported on Sunday (see GSN, April 14). The Defense Department funding would be used to safeguard against extremist infiltration facilities in Kenya, Uganda and elsewhere that hold potential biological-weapon agents such as anthrax, Ebola and Rift Valley fever. The heads of germ research for the Russian and South African governments both say that they intentionally created more lethal forms of deadly germs such as Ebola. In the 70s and beginning of 80s the Soviet Union started developing new biological weapons–Marburg infection biological weapon, Ebola infection biological weapon, Machupo infection, [or] Bolivian hemorrhagic biological weapon, and some others. South Africans call him Dr. Death. He is regularly compared by the local press, never very persuasively, to Josef Mengele. . . There were revelations of research into a race-specific bacterial weapon; a project to find ways to sterilize the country’s black population …. Basson’s scientists were working with anthrax, cholera, salmonella, botulinum, thallium, E. coli, ricin, organophosphates, necrotizing fasciitis, hepatitis A, and H.I.V., as well as nerve gases (Sarin, VX) and the Ebola, Marburg, and Rift Valley hemorrhagic-fever viruses. They were producing crude toxins (and some strange delivery systems) for use by the military and police, and they were genetically engineering extremely dangerous new organisms—creating, that is, biological weapons. Washington’s Blog spoke with one of America’s leading experts on the dangers of research into deadly germs, Dr. Francis Boyle. Dr. Boyle wrote the Biological Weapons Anti-Terrorism Act of 1989, the American implementing legislation for the 1972 Biological Weapons Convention. Dr. Boyle served on the Board of Directors of Amnesty International (1988-1992), and is a professor of international law at the University of Illinois, Champaign. WASHINGTON’S BLOG: You said recently that laboratories in West Africa run by the Centers for Disease Control and Tulane University are doing bioweapons research. What documentary evidence do you have of that? You mentioned that a map produced by the CDC shows where the laboratories are located on the West Coast of Africa? DR. FRANCIS BOYLE: Yes. They’ve got one in Monrovia [the capital of Ebola-stricken Liberia] … one in Kenema, Sierra Leone [the third largest city in the Ebola-hotzone nation], which was shut down this summer because the government there believed that it was the Tulane vaccines which had set this whole thing off. And then they have another one in Guinea, where the first case [of Ebola] was reported. All of these are labs which do this offensive/defensive biowarfare work. And Fort Detrick’s USAMRIID [the U.S. Army Medical Research Institute for Infectious Diseases] has also been over there. So it’s clear what’s been going on there. CDC has a long history of doing biowarfare work. I have them doing biowarfare work for the Pentagon in Sierra Leone as early 1988. WASHINGTON’S BLOG: And how do you know that? Have you seen official documents? DR. FRANCIS BOYLE: An official government document: the Biological Defense Research Program, May 1988. I analyzed it in my book, Biowarfare and Terrorism. It’s clear that [the U.S. bioweapons researchers] were using Liberia to try to circumvent the Biological Weapons Convention. And CDC – for years – has been up to its eyeballs in biowarfare work. They always try to justify the development of offensive biological weapons by claiming it’s being done for “defensive” purposes. That’s just a lie … and it’s always been a lie. It’s been the case on Ebola and just about every other biowarfare agent you can think of. WASHINGTON’S BLOG: Does that type of research violate the Biological Weapons Convention? DR. FRANCIS BOYLE: Well, of course! It also violates the Biological Weapons Anti-Terrorism Act [which Boyle drafted], which was passed unanimously by both houses of the United States Congress and signed into law by President Bush, Senior. That Act creates life in prison for this type of “Dr. Menegle” type work. WASHINGTON’S BLOG: And Obama recently said – as quoted in the New York Times article – that he’s “curtailing” this type of defensive research, or putting it on hold. DR. FRANCIS BOYLE: That’s the smoking gun, right there. Read that article [the New York Times article quoted above, which notes “a sudden change of heart by the Obama administration” about labs creating ever-deadlier versions of germs which are already lethal]. The reason they’ve stopped it is to cover themselves, I think, because they know that this type of work was behind the outbreak of the [Ebola] pandemic in West Africa. But that’s an admission right there, de facto. Dr. Boyle made it clear that he is not suggesting – as some others are – that Ebola was intentionally released into the African population. He says he has seen no evidence of intentional release. He’s speaking about an accidental release of germs from a biowarfare research lab. He’s convinced, in fact, that this Ebola epidemic in Africa started with the release from a U.S. bioweapons lab in West Africa. One of the reasons for his conviction that the outbreak started with the release from a bioweapon lab is that this Ebola strain seems to be much worse than those previously seen in the wild. 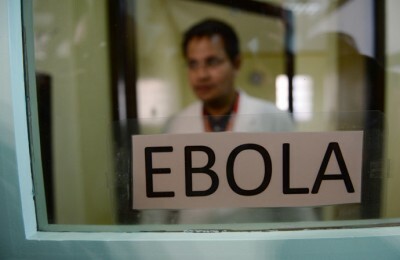 It seems to me that [the Ebola epidemic in West Africa] has U.S. biowarfare programs written all over it.